This morning was indeed a glorious morning. I was up before the sky goes from midnight blue to sunrise pink. I did something this morning that made my time in the woods seem like a spa day. I packed a thermos full of dark rich espresso flavored with stevia and hazelnut creamer. As I led Friz down that familiar path, I could feel the warmth of the thermos pressed against my back from my backpack. As we settled down onto the ground, I pulled that warm to the touch thermos out of my backpack, and as I unscrewed the top, I could see the steam escape. Wonderful scents of cream and hazelnut and strong coffee wafted toward my nostrils. In that moment, I couldn’t resist joining that joyous dance which is coffee. I believe that all things happen for a reason. 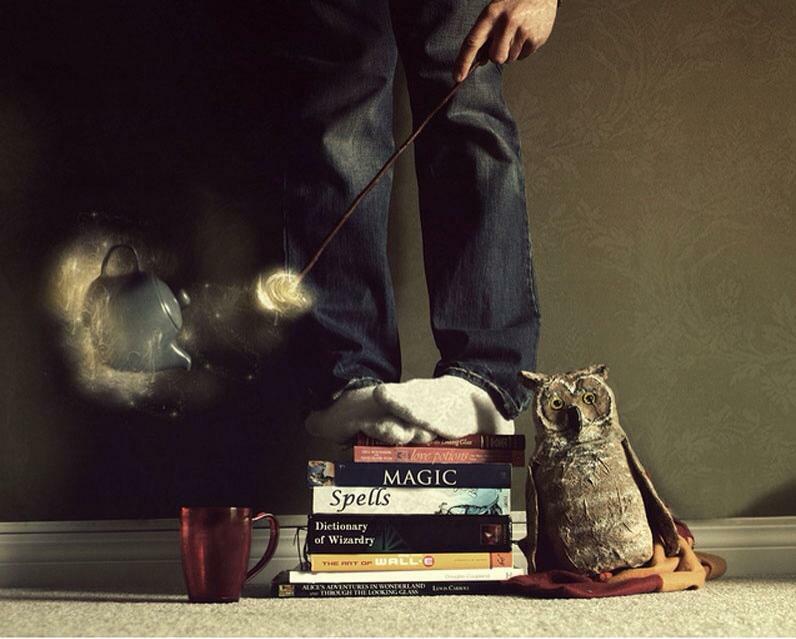 There is magick to be found in all situations. As I was dusting my bookshelf this week, one particular book leapt from the shelf and onto the floor in front of me. This book is titled, “Random Thoughts n’ Lotsa Coffee.” This wonderful book came to me through a dear friend in the fall of 2013. As I leafed through the pages, I would find myself smiling or chuckling as I remembered when I first read this book by author J.V. Manning. As I began to re-read the entries, I came across one that resonated deeply in my spirit. This entry, “Only in Silence, Can You Hear,” speaks of taking a step back…removing yourself and allowing yourself to live life instead of allowing life to go on automatic pilot. In that entry, the author herself was dealing with some storms in her own life…but think about it, even when storms aren’t surfacing, how often do we live on automatic pilot? I know in my own life, each day has seemed to become more about rushing from one happening to another, barely taking time to breathe, let alone still my mind. We are constantly bombarded with work issues, home issues…just the daily taking care of business. Somewhere in that busy-ness, we are expected to nurture our own spirit, work splendid magickal workings, and take care of the needs of others around us. As Imbolc approaches, I have been reading more about the goddess Brigid and who she is. She is goddess of the land. She is the goddess of peace. She is the goddess of the home fires. She is the goddess of healing. She is the goddess of contemplation. All of these are things that I need to take to heart as the next part of winter moves upon us. For some reason….and I don’t know why…I always kind of kept it in the back of my head that it was the responsibility of the goddess to keep my fires “stoked,” so to speak. I would continue running around like a chicken with my head cut off and scream up into the trees, “Stoke those fires within me, goddess!” Then I would wonder why I would burn out faster than a Qtip soaked in pig fat. This week has been a lesson in taking time. Time for me…stopping and listening to the silence around me. 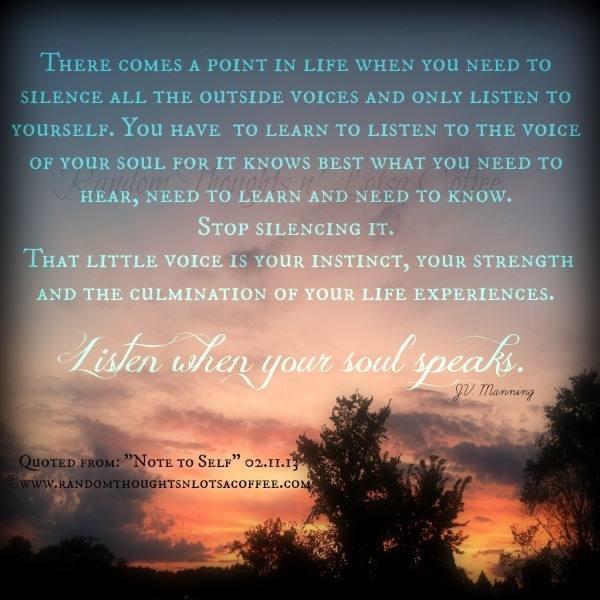 It is in that time that my spirit, my very soul is able to speak. It is in that time that I am able to listen. I have been using my sacred space that I created…to most it would seem like a large closet, but to me, it is a refuge. A place where my heart can hear and listen. It was in this time of separation and silence that I was able to ask the goddess to show me the heart of someone whom I hadn’t given a proper chance. It was in those moments of solitude and quiet that I was able to hear her tell me to look at this person’s heart…nothing more, nothing less. It was in that silence that my heart opened to who this person truly is and the potential they hold. We have to take time to take care of our own spirits. Life has become a whirlwind around us. If we don’t make the time for those small, seemingly insignificant moments where we are allowed to sip on a cup of coffee and process life around us, then we have become machines. In that moment, I felt a warmth from the top of my head to the soles of my feet. I don’t know if it was the coffee, the goddess…all I know is that at that moment, the hearth fires within my very soul were burning strong. The Magick has come easier this week. I have learned that sometimes it isn’t about creating the spell…it is about listening to everything around you and letting the spell create itself. Magick is weaving itself around us all the time. It is a living breathing thing that is constantly moving and constantly changing…and just waiting for us to catch up to it. If we could only learn to stop trying to outrun it. This entry was posted in Anxiety, be yourself, Breathe, Brigid, Change, Chihuahua, Comfort, Dance, Elements, Emotion, Goddess, Inspiration, Listening, Magick, myself, New Beginnings, Pagan, Purpose, Sacred, Self, Solitary, Spells, spirits, Truth, Uncategorized, Woods, words and tagged Goddess, pagan, Random Thoughts, sacred, thermos, Witchcraft by weatheredwiseman. Bookmark the permalink.